Explore Clay at Pottery Club! The Danville Art League offers kiln firing services to the general public. We can fire earthenware, stoneware, and porcelain up to Cone 10! For rates based on size, view our Firing Fees. An example is on the bottom of the form. Make sure to read our Firing Terms & Conditions for more in depth information. Then, drop off your work at DAL with a Firing Form and payment for each piece. Clay Studio is open during regular open studio times. You must be certified by one of our pottery instructors to utilize the wheel. This is to make sure that the equipment is properly taken care of for everyone. Explore clay during Pottery Club, usually held on the 2nd and 4th Saturday of each month from 10am-2pm. Pottery Club is only $5 per day and includes instruction and assistance. Clay, glaze, and supplies are also available for purchase. Current classes include instruction, clay, glazes & firing fees. For independent students using the pottery studio, storage space is available for personal supplies. New and creative classes are added routinely, so please check back for current classes. The Danville Art League sells 25lb units of Cone 04 white earthenware for $15. We also have a selection of glazes and tools available for purchase. 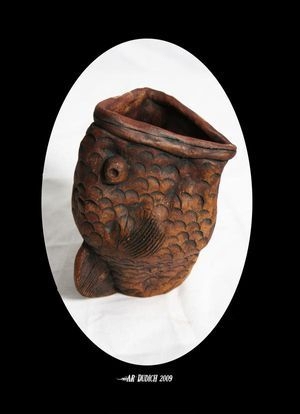 For special orders of clay, glaze, oxides, tools, or other supplies contact Sue Moudy at 217-733-2506. See them at Open Clay Studio or leave a message at 217-442-9264.